I was looking at Google maps and I came across a part that was divided off by an international border but wasn't marked with a country name. My first thought was to zoom in, in case a country name popped into view, but it didn't. 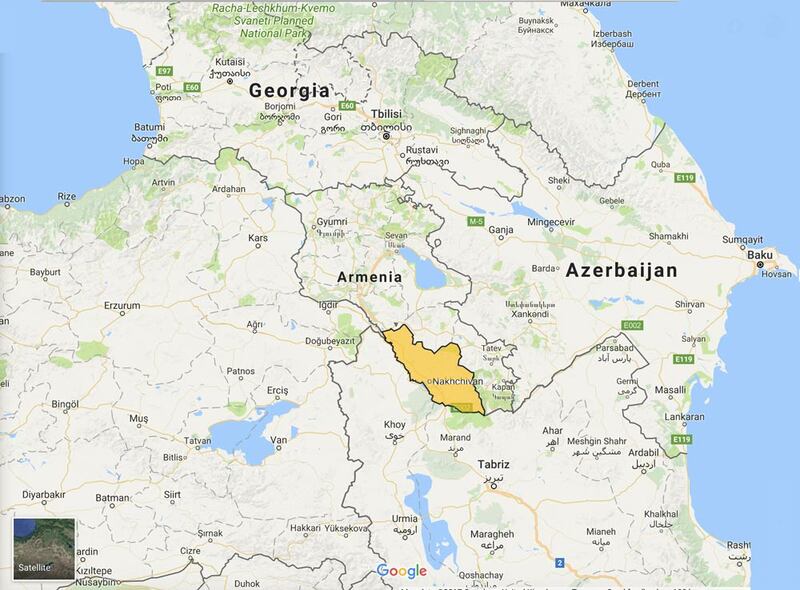 It is separated from the rest of Azerbaijan and completely surrounded by other countries: hence it being an enclave. That decision to ally with Azerbaijan resulted in conflicts and cross-conflicts with Armenia, Turkey, and Russia - who all had an interest in the outcome in terms of with which country the region would associate itself. So far so good. But reading about it led me on to the Nagorno-Karabakh War and Nagorno-Karabakh which is a region to the east of Nakhchivan Autonomous Republic and totally within Azerbaijan. It is internationally recognised as being part of Azerbaijan but is run as an independent state by the Armenian ethnic majority. Not being a country, it isn't marked on most maps, but it exists.